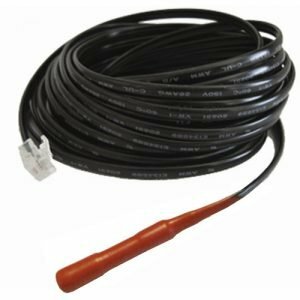 AVTECH’s Mini Uninterruptible Power Supply & Power Outage Sensor is a unique sensor/UPS combination that detects loss of main power while providing seamless battery backup. 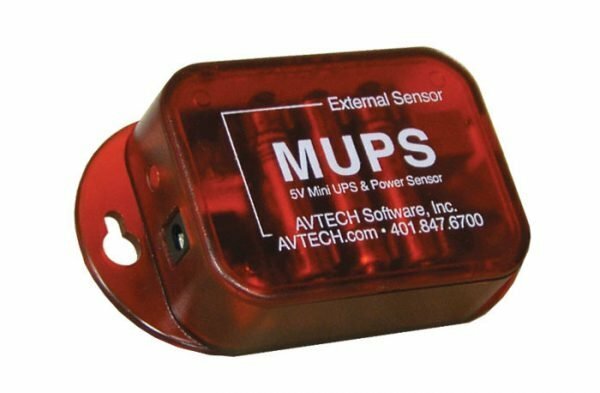 AVTECH’s Mini UPS & Power Sensor is a unique sensor/UPS combination that detects loss of main power while providing seamless battery backup power for approximately fifteen (15) minutes or more beyond loss of power. Total run time depends upon the power draw of the supported AVTECH environment monitor or other 5V device. Red and Green status LEDs allow users to instantly know the power status at a glance. Compact and lightweight, the MUPS is perfect for small, weight sensitive or remote locations where standard UPS models are difficult or impossible to accommodate. 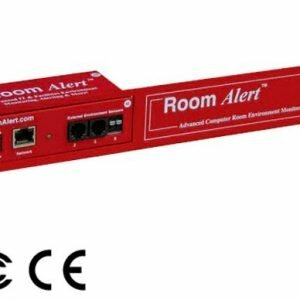 The MUPS includes a built-in power sensor and can be monitored by any Room Alert environment monitoring unit to indicate a loss of main power by simply connecting the relay output on the MUPS back to the Room Alert monitor, located up to 900′ away using a standard twisted pair wire. 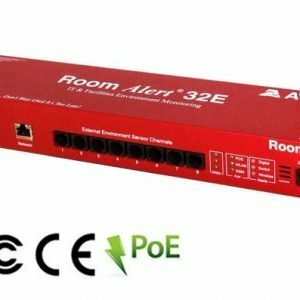 When a loss of power occurs, the MUPS is immediately and seamlessly enabled to supply continuous power long enough for the connected Room Alert unit to send out alert notifications and initiate server shut downs or other actions. 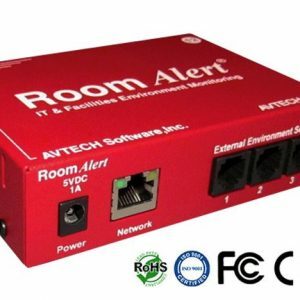 Room Alert products can send status and alert notifications via email, email-to-SMS, SNMP and more to devices like computers, mobile phones, pagers and PDAs.